There’s no doubt that eSports has taken the world by storm in the past several years. We started off small, and soon filled stadiums which would usually play host to their more conventional sporting counterparts. We’ve now reached the stage where conventional sporting organizations are taking notice and welcoming competitive eSports teams with open arms. It all began with Basiktas, the top Turkish football club, who opened their doors to League of Legends in 2014. Following suit Spanish basketball team Baskonia has raised the bar welcoming five new eSports teams to their organization. 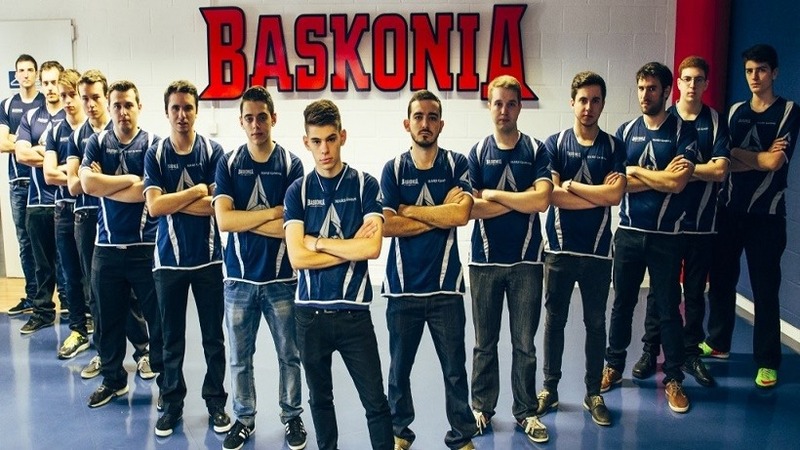 The merge between the real and virtual world fell on the back of a bigger merger between Saski Baskonia and Atlantis eSports to form Baskonia-Atlantis. While the Spanish have yet to put their stamp on the competitive gaming world, the newly formed organization will partake in League of Legends, Hearthstone, FIFA, Dota 2 and NBA2K15. Wouldn’t it be great if their virtual basketball team became world champions before their own? The addition of the team and disciplines included 15 players. Baskonia are an already well established organization winning several tournaments in the Spanish Liga ACB. They’re considered one of Spain’s best Basketball teams and now plan to grow that reach with eSports. The numbers of course make sense, viewerships for eSports rivals that of the NBA. While many sporting organizations have yet to cross over into the virtual realm, there is no doubt in my mind that we will see a surge in big name pickups. The United States have already included eSports titles at a collegiate level. The same Universities who host some of the biggest sporting rivalries in history now host several eSports tournaments throughout the academic year. It’s only a matter of time before we see the Manchester United Red Devils or Arsenal’s Gunners. Whether the world of narrow-minded sporting maniacs will enjoy new adventures from their favorite clubs is another question, alas no press is bad press after all. You’re probably wondering why I haven’t mentioned South Africa… Unfortunately sanctions, rules, corruption and many other reasons prohibit the creation of the Blou Bulle eSports Team, but our big MGOs (Multi-Gaming Organizations) are doing just fine for the moment. Maybe Bravado Gaming will pick up a rugby club and reverse the process?